My Zen Zest Event Haul + Reviews! Wow, I never thought I hadn't talked about all these products yet! These are the goodies I got from Zen Zest's Anniversary event earlier this year, and in the past months I was finally able to sample these products, try them out, and get a good feel of how they work. 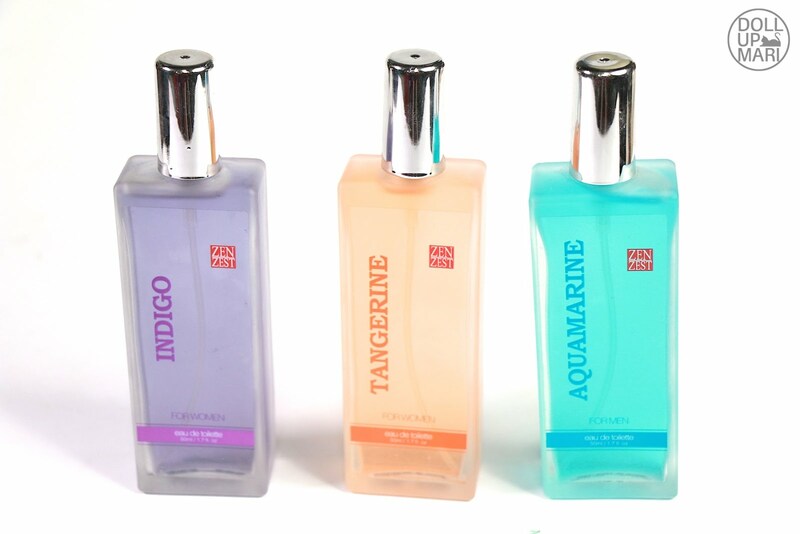 These are the personal scents collection, and this is the EDT version. I got Indigo and Tangerine from the ladies collection and Aqamarine from the men's collection, which I subsequently gave to my brother. This one is a total steal at Php230, perfect for gift giving! Indigo is this powdery floral fragrance that Pinays always seem to have. As someone with Chinese ancestry, I associate this powdery floral fragance with Pinays all the time and this is the epitome of that. And yeah in case you're curious, one of the things Chinese people say about Pinoys is that Pinoys smell really good and have good hygiene. Tangerine is funny because it actually smells like a light musk melon. It's a sweet fragrance for those who like things light. Aquamarine is a powdery woodsy fragrance, and honestly this is not only apt for men as it's light enough to be used by women, too. For the guys who don't like very overpowering fragrances, this is for you. 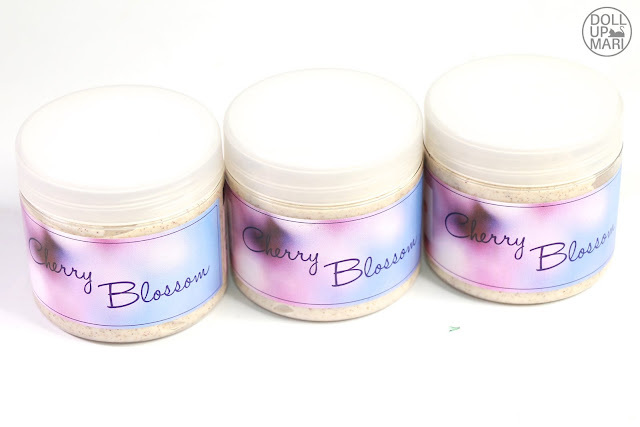 Soooo for how I got three Cherry Blossom scrubs, it's because when we were there, we were given cards and like we could select select number of items from each collection they have. When I selected my home care items, the lady told me to claim them later. When she said later, I thought later meant after the event. But later meant immediately after the signed my card. I ended up not getting any home care items. I asked them if there was anything left and lo and behold, these scrubs were among a few other items that remained. This is daaaa bessst!!! I am sooo in love with these scrubs since I got them. They're super luxurious to use because there are apricot beads inside. I have plenty of "slay my queen" feels whenever I use this scrub. These come with a very lovely cherry blossom fragrance, not the dizzying kind. It smells super pretty, pang madam talaga. I also like the effect as it's very buttery and leaves skin very moist and supple afterwards. The best part? It's a sustainable weekly luxury as it's only Php150 er jar! Body scrubs are exorbitantly expensive and I'm glad I have something that works and is this affordable. 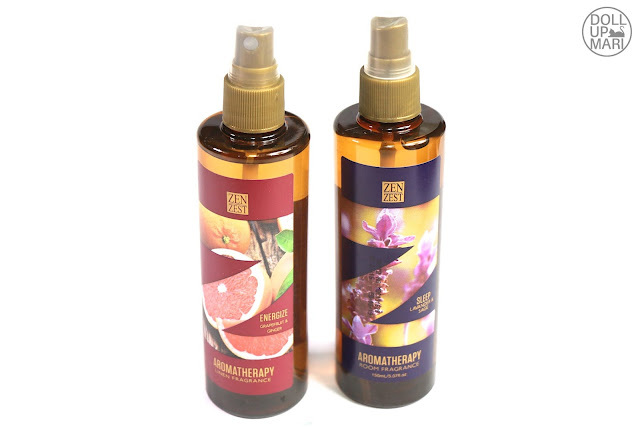 I also was lucky enough to go home with Aromatherapy room sprays! Yaay me. These retail at Php250 per bottle, a tiny bit more expensive than their body fragrances. 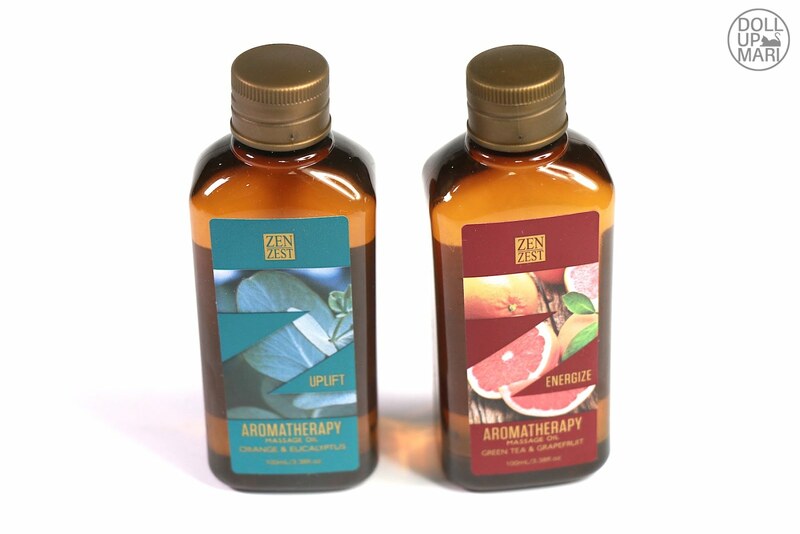 But noticeably, these are more potent so in ike 2 sprays the whole room is already filled with the fragrance. There is a reason why these come with warnings that they shouldn't be used on the body. Energize is supposedly grapefruit and ginger, and it literally smells as such. I don't have much input to add. Sleep is Lavender and Sage. To be honest, I spray both all the time because renovations at home mean that we have to close our windows most of the time, and as such the house feels very stuffy all the time. This is a very good life hack for us when we want our house to smell like a house even when in reality we have no source of fresh air most of the time. Aside from the stuffiness at home, I have a high stress lifestyle, so I spray both to make me feel good. In the end it doesn't matter whether it's Energize or Sleep I use, I just want to Unwind. For those who are scared of liniments and massage oils that smell like the elderly, this is an option. Uplift is orange and eeucalyptus and has this herbal smell to it. Energize is like the room spray, though it says that instead of ginger this has green tea. Both oils behave like coconut oil in terms of texture and spread. These aren't a lot like the dry oils we see in the market. This is neutral observation, nothing good or bad, just pointing it out. This is a bit steep at Php220 a pop, but if you want to put aromatherapy into your massage sessions, this is a good investment. Last on this list are their body washes!!! 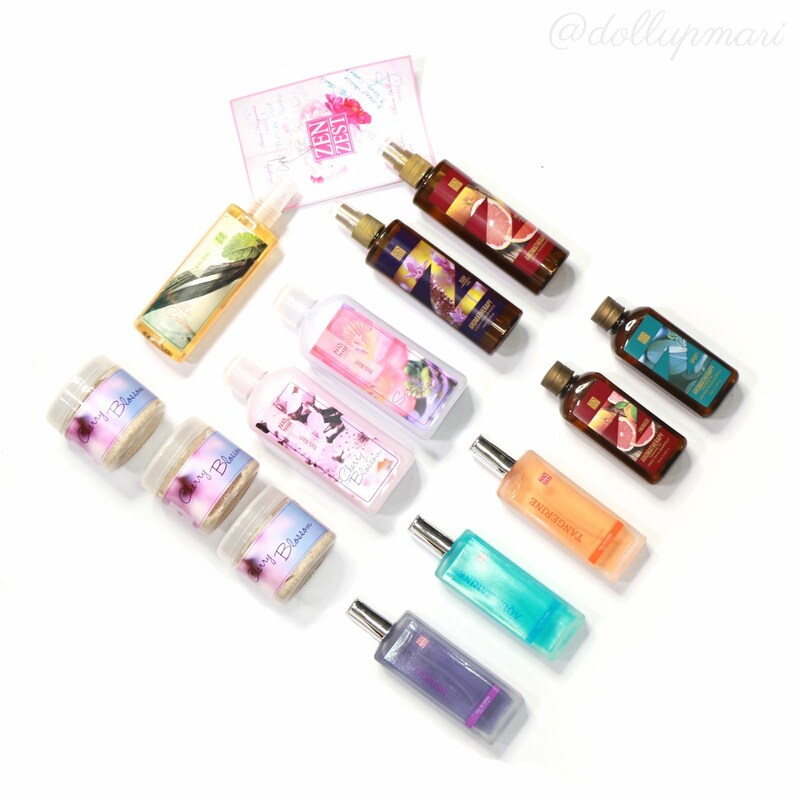 I am sooo totally loving their Classic Line because each variant comes with body scrub, EDT, body wash, hand soap, and hand sanitizer. It's soo easy to impress people this Christmas when you can give them legit bath sets of the same fragrance. Zen Zest always comes up with fragrances that are selling or doing well abroad, or fragrances that are interesting, so there's bound to be something for your picky gift recipients this Christmas. This body wash is Php140 per bottle, which is affordable enough to be a useful addition when giving someone a bottle of body spray. This is a good stocking stuffer and exchange gift item because no matter what, people stink up and will need to bathe and use items like this. For those struggling with gift ideas, head on down to your nearest Zen Zest store this Christmas! For being Madam its mean a good person, friendly, stay strong, tender love care as always. Who are very expert when it comes time management, approachable for handling different people, can make lead the team wisely, confidently beautiful wt with the heart all the time. Happy Holidays, Prosperous New Year and God Blessed us. Nakainspired ka talaga ate marie�� ang ganda ng business at mga products mo at ikaw pa ang nag momodel�� in time mabibili ko din yan mga products mo po. Di lng muna ngayon kz wala pang work�� happy new yr! Being a madam you need to be always in good looking and dress up in formal, act like educated and respect the people around you so that peolpe will respect you too. Being a madam is being a good example..a good advocate to all friends and enemies alike..she is always positive through all trials..a madam is an approachable person..she loves life and embraces al of it.a madam is a good mother and wife..she puts her child and family first above all else..she has high faith in God..for she believes that God is everything..
Gustong gusto ko talagang ma try yang Aroma Theraphy na yan. Sarap siguro matulog sa room pag yan ginamit pang spray. Being a madam ay hindi batayan ang pagiging ma pera or millionaryo. For me being a madam ay yung maraming nagmamahal sayo,palaging good vibes at yung nakakatulog ka ng mahimbing na walang inaalalang utang or kaaway at lalo na kung matutulog kang super bango ng room mo dahil sa Zen Zest Aroma Theraphy. Ay super sarap at himbing ng tulog mo at napaka sarap ang gising. Para ka talagang nanalo sa lotto at isa kang madam sa bahay nyo. Shades Hair Color Now in Sample Room!